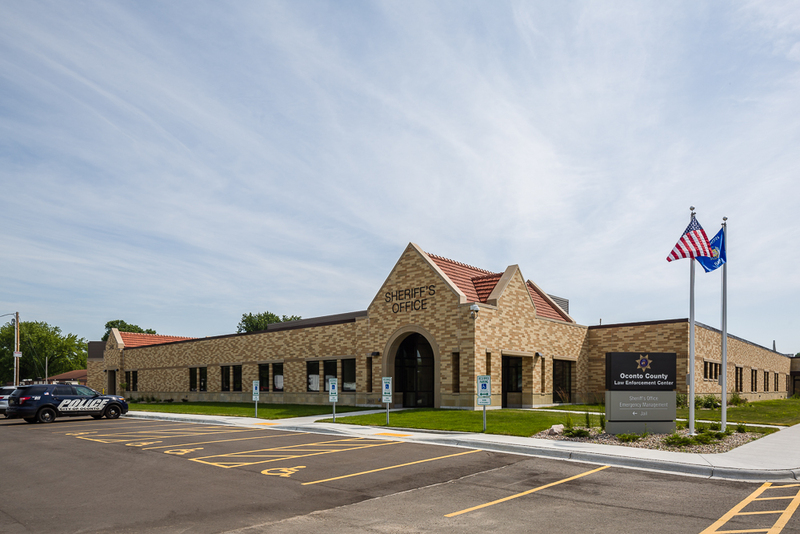 Faced with overcrowding of inmate population, lack of program space and heightening security concerns, Oconto County turned to Potter Lawson to help them explore their facility options. Potter Lawson guided the County through the process that began with programming and space needs identification through construction to final occupancy. 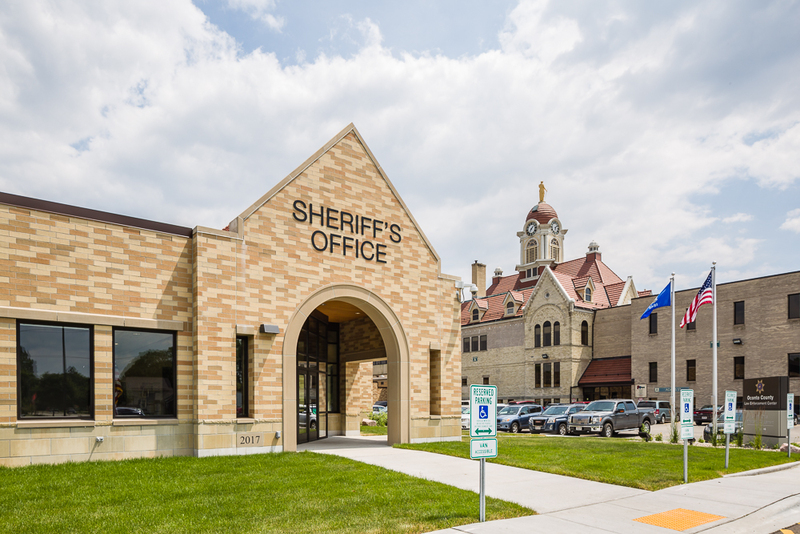 Working with the County Board, the County’s Construction Manager, and the Sheriff’s Department, the end result is a project of great pride for both the design team and the County. 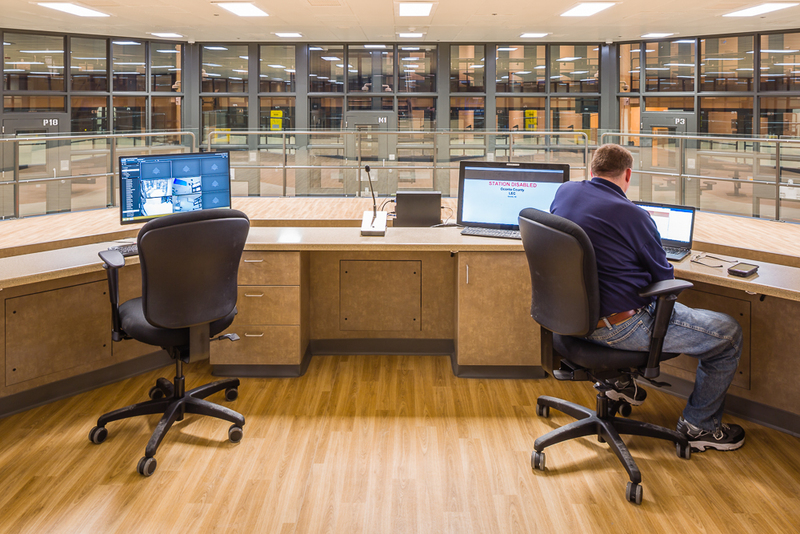 Recently completed, this project is a new 94,000 square foot Law Enforcement Center addition. The facility houses the Sheriff’s Department, jail support, Emergency Management Offices, emergency operations center, 911 dispatch and jail. The jail has 148 beds, expandable to 175 beds through double-bunking, with the potential for a future addition of 75 beds for a total of 250 beds. From the beginning Potter Lawson’s team of designers, architects and support staff did a great job. They guided us through the design process, worked to build consensus among the various stakeholders, listened to our needs and were successful at incorporating our input into the final design. The final result does make me very proud to walk in the front door each day coming to work.